Hiya, 500 is the skill level cap for Underwater Fishing. While of course everyone is welcome to continue fishing, there will be no more level gains past that. We could blame this one on the Meepits, but honestly it seems like this was a glitch on our part. It was one of those horrific, blurry-eyed early morning moments when support suddenly asked, "Why are Draiks being released?" promptly followed by us flailing around and stopping it A.S.A.P. 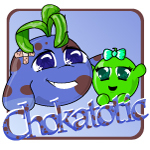 We talked about the matter and decided not to remove the created Draiks, as we were hoping some good would come out of it and the price of Draik morphers and eggs would take a dip (not to mention the technical disaster and emotional trauma we would cause by taking away everyone's new Neopets). We're very sorry to anyone who sat there refreshing for more, or recently dropped a cool 10 mil on a Draik and felt a little cheated. But hey, at least it made the day exciting... right? ._. This one we will blame on the Meepits, because as humble Editorialists, we have no idea about the workings of all those wacky gizmos that make the site run. *throws dart at dartboard* Let's see, the site crashed because... *squints* Meepits chewed through the server cords! Bad Meepits. Bad! *flicks on recorded message* COPPA, the Children's Online Privacy Protection Act, prohibits us from allowing players under the age of thirteen from being able to submit personal information without parental approval. Thirteen isn't an age we just randomly made up to allow you access to Neomail and chat; it's a law we have to abide by. 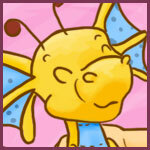 If you're not allowed to be discussing it, you shouldn't be naming Neopets after it either. 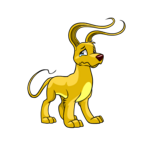 If you see a Neopet named after something like this, please feel free to report it so we can look into the matter. Yes she could. Artists cannot accept any form of payment (be it Neopoints, items, or real money) for producing art that is based off of our intellectual property. We love to see Neopets art, and think it's wonderful that it encourages you to draw, but it can't be a way for you to make a profit. Well, considering that there's a Genius Negg in your Inventory (which happens to cost 24 Negg tokens), we're guessing you accidentally clicked it, or clicked the Negg without realising that it purchases the Negg soon as you click on it. As a general warning to all, please be careful in there, hehe. We suppose it would be nice of us to have an "Are you sure?" button in there to stop this from happening. We'll see if we can harass a programmer to take care of that. Maybe it was for the best! *looks around and whispers* I think most of us are going for Worgen, though the faction discount and awesome new mount for Goblins is tempting. Time is money, friend! Unless we purposefully save it because we don't have time to wrangle up the person that can give us the answer, then it is unlikely, since by the following week the question would be buried under an avalanche of more recent questions. "So, my question is, when you haggle in a shop run by NPCs, are you the guys behind the haggling? Or is there some program doing it?" "Hiya. I've been hearing that Neopets was sold to a company called Viacom. Is this true?" "Which species is Lord Kass? Pteri or Eyrie?" "Can you see us through the moniters? o.o"
"What happens to the neopoints the lever of doom takes?" "Where, when, and how did Derek Eyrie died?" "Why are Organic Red Grapes colored purple?" "They'll stop you! They always do!" Maria shouted happily. She couldn't see quite how that was possible, but it seemed to annoy the shadows, so that was enough for her. How could anything bad happen in a Plushie Shop? What REALLY happened to the Monoceraptor? Who is the true hero behind that tale? They both needed a breath of fresh air. She made him an offer he couldn't refuse.